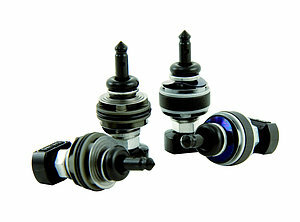 Front Fork Piston Kit 20 mm. It is recommended to contact an authorised Öhlins Service Center for installation. The Fork Piston Kit is a big improvement to the front fork feel and performance. Each kit contains two complete sets of preassembled compression and rebound pistons, including shims and one-way valves.